(Photo credit: Esther Lin/SHOWTIME) By Scott Gilfoid: A haggard-looking and very confident former two time world title challenger George Groves (21-2, 16 KOs) was in a cocky mood today at the Floyd Mayweather Jr. – Andre Berto kickoff press conference in Los Angeles, California. The press conference was to officially announce the Mayweather-Berto fight card on September 12th at the MGM Grand in Las Vegas, Nevada. Groves will be on the undercard fighting for a world title against WBC super middleweight champion Badou Jack (19-1-1, 12 KOs). Groves is promising an easy knockout victory over Jack. As haggard and beat up looking that Groves looked, it was hard to take anything he was saying seriously. Groves just looked like he was flapping his gums in spouting stuff that he can’t back up in the ring. “I think experience will play a part in this fight,” Groves said. “This is where his reign ends. We’ve studied his tapes. As of yet we can’t find anything that will cause me a problem. I plan on going out there and dominating him from the very first second. I’m going to take his confidence early. I’m going for a knockout. Once I start landing my big shots, he ain’t going to survive,” Groves said. Jack’s reign will end one of these days, because no fighter lasts forever. But I definitely don’t see it being Groves as the guy who ends Jack’s short reign. Groves is someone who arguably shouldn’t even be challenging for a world title. Groves was knocked out twice by former IBF/WBA/WBC super middleweight champion Carl Froch in 2013 and 2014. Instead of having Groves go back to the end of the line after those knockout losses, the World Boxing Council ordered for Groves to fight in a WBC eliminator against the weak-punching Christopher Rebrasse. Let’s ignore the fact that the WBC picked Rebrasse to fight in an eliminator over a fighter I saw as much more worthy – and talented – in Andre Dirrell. What in the heck was Groves doing fighting in an eliminator bout off the back of two knockout losses to Froch? I just do not understand that at all. I’ve never seen that happen before, and perhaps I’ll see that happen again. I just don’t know what Groves’ qualifications were in fighting in an eliminator after getting knocked out twice in a row. I mean, aren’t eliminator bouts supposed to involve fighters that are winning and doing well? Since when did it involve fighters coming off of knockout losses? Badou Jack looked absolutely fantastic in his recent fight against Anthony Dirrell. He looked vastly improved from the fighter he’d been before. Dirrell picked Jack out in a voluntary defense, and he wasn’t supposed to lose the fight. But Jack raised his game and showed Dirrell that he’s got the kind of talent that he didn’t possess. It was a great performance from Jack. In looking at Groves, I don’t think he’s the same fighter that fought Froch the first time in 2013. Not only has Groves not performed the same since the first fight with Froch, but he also looks to have visibly aged. I’m not sure what happened there, but he looks older like he aged five years from the experience of fighting Froch. In their rematch in May of 2014, Groves was nothing like he was in their first fight. He was moving around the ring, not throwing punches, and then he was knocked out cold when he tried to exchange with Froch. It was over that quickly. 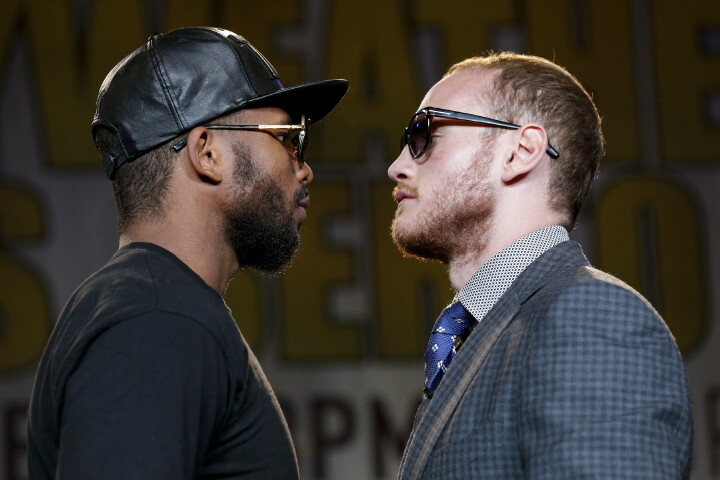 In Groves two fights since his last loss to Froch, he’s looked terrible against Rebrasse and Denis Douglin. He was hurt in both of those fights and looked like a shell of his former self. When I saw Douglin stun Groves at one point with a shot, I knew that something was wrong with Groves. He’s simply not the same fighter he was. It’s really that Groves will be fighting an aggressive hard puncher like Jack on September 12th, because I believe that Groves needs a long, long break from being around punchers. I don’t think his punch resistance is what it once was, and if Jack hits him just right, I expect Groves to drop for the 10 count. I hope for Groves’ sake that he takes a good long break after he loses to Jack, because I think the time off from the ring will help him.